What Happens if I Die Without a Will in Arizona? Procrastination is the enemy of any good estate plan and probate without a will is the reality for many in Arizona because of it. The law in Arizona makes provisions for a “default will” for those people who die without one. These laws are found at Arizona Revised Statutes Sections 14-2101, et seq., and are commonly referred to as intestacy statutes. These intestacy statutes dictate who will inherit the probate assets of a deceased person in a variety of circumstances. Who gets what in these circumstances can get kind of confusing. Let’s assume the following. Chad and Lisa are married. Chad dies first. Chad did not have will or a trust. If Chad did not have any children with Lisa and did not have any children with anyone else, Lisa will inherit all of Chad’s assets. If Chad and Lisa together have 3 kids, Lisa will inherit all of Chad’s assets. If Chad has 3 kids from a prior marriage and no kids with Lisa, Lisa is entitled to one-half of Chad’s separate property and none of Chad’s share of community property. This cuts down Lisa’s inheritance substantially. If Chad did not have any children with anyone, his parents will inherit all of Chad’s assets. If Chad’s parents are not alive, then Chad’s siblings will inherit all of Chad’s assets. If an asset has a beneficiary named on it, or is jointly owned, it will not need probate. These kinds of assets are called non-probate assets. Some examples of non-probate assets are life insurance policies with one or more named beneficiaries, retirement accounts with named beneficiaries, financial accounts with one or more named payable upon death (POD) beneficiaries, and joint accounts with rights of survivorship. 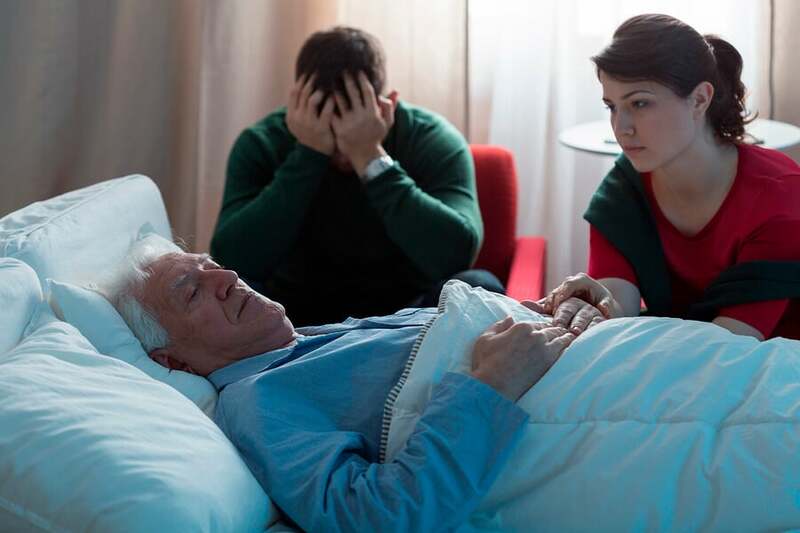 Another unintended potential problem that can arise when someone dies without a will is that the assets could end up in the hands of a family member who the deceased person would never have wanted to receive ANYTHING. Arizona law allows anyone to exclude or limit the rights of any person through a will. However, when no will exists, the intestacy laws control. If you want to be in control of what happens with your estate, prepare a will. There are many different probate scenarios, but for smaller, less complicated estates, a beneficiary can take advantage of one of the probate shortcuts known as the Small Estate Affidavit. It can be really hard trying to figure out these laws after a loved one has passed. An experienced probate attorney can be invaluable in sorting out all the various rules and distinctions, and represent you and provide guidance through an emotional and trying time. Contact Me today to get the facts straight. I can help you learn what must happen to bring probate closure as quickly as possible.